The following images have been created using composites of photographs of miniatures and real photographs. Steve Stratton has done about 90% of them and for the other 10%' which were mine, he has put on the finishing touches as well. I think you will all agree with me when I say that Steve's work is simply stunning and really makes the world of OGRE come to life. 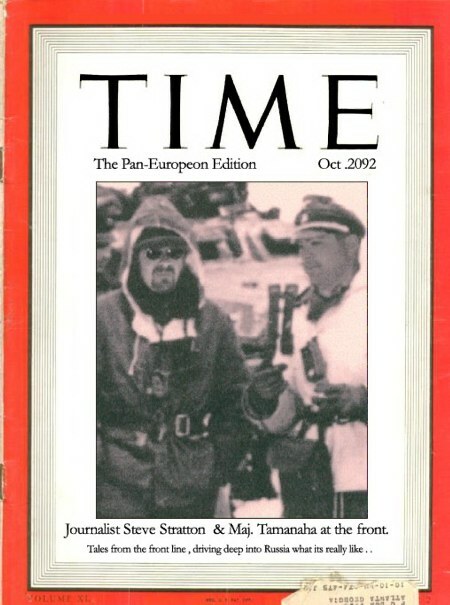 Here is Steve in his role as a photographic correspondant for Time Magazine (PanEuropean Edition).